Nineteen new seminarians for Irish Dioceses have begun their formation and academic programme for 2017-2018. Earlier this year, the Congregation for Clergy, in Rome – which have overall responsibility for seminary formation – issued a new document (Ratio), The Gift of the Priestly Vocation, which is the revised programme for seminary formation. The Ratio strongly recommends to bishops around the world the introduction of a pre-seminary (propaedeutic) year for new candidates who wish to discern their priestly vocation. The nineteen new seminarians that are currently in formation are in Saint Patrick’s College, Maynooth (6), the Pontifical Irish College, Rome (2), Saint Malachy’s, Belfast (1), the Pontifical Beda College, Rome (2) and eight have begun the propaedeutic year in locations in Ireland and abroad. In addition, 62 lay students began first year undergraduate studies in theology and 18 began postgraduate studies at the Pontifical University at Saint Patrick’s College, Maynooth. There are over 800 undergraduate and postgraduate students registered at the Pontifical University at Maynooth for programmes in theology, philosophy and canon law. 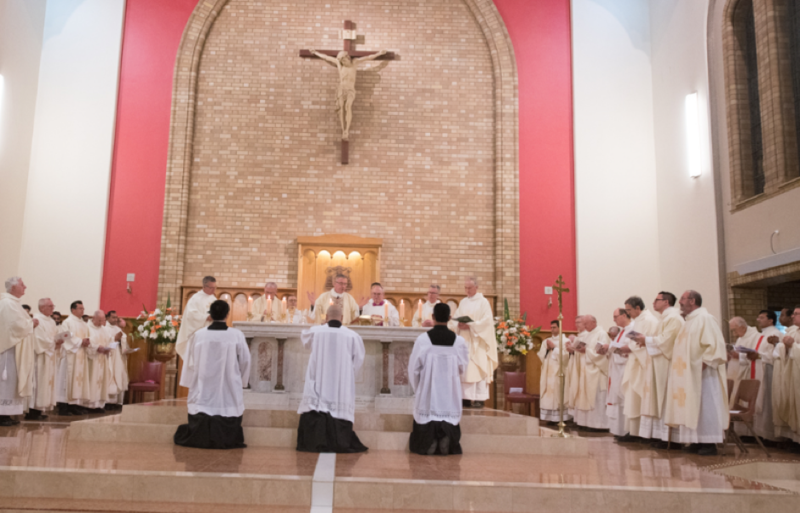 Commenting on this year’s intake of seminarians, Father Willie Purcell, National Coordinator for Diocesan Vocations said, “The call to diocesan priesthood is counter-cultural and challenging. It therefore takes great faith and courage to respond positively to this call and to say yes to God. In particular, I welcome the numbers of candidates availing of the propaedeutic year as it gives these men time and space to discern their vocation.